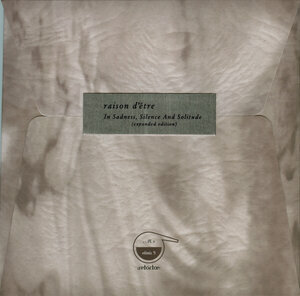 This is the second part of the collaboration that started with 'De Aeris In Sublunaria Influxu', released 2015. Based on a notion of the fascinating Amazonian Piraha tribe, this is an excursion into nine different micro-worlds of perception and consciousness. Music that reaches for the eternal, but it only exists in the very moment. 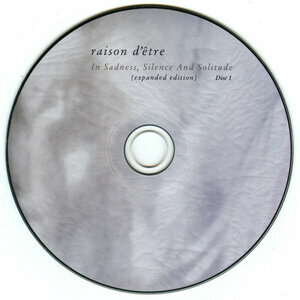 Raison d'être sound sources used and processed by Troum 2013-2017 (deranged and reframed, morphed and transformed). Additional material recorded by Troum 2013-2017: guitars, voices, flutes, accordeon, cello, violin, didgeridoo, dombra, tapes, found sounds. Final mix by Troum. K-14 level mastering by Peter Andersson. Graphic design by Marcin Lojek for Rzpaid design. Patternal drawings by Bartosz Zaskorski. 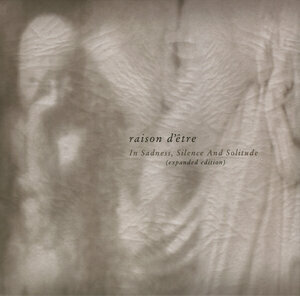 CD released by Transgredient Records, TR-12. Digital release by Yantra Atmospheres, YA-2017-89. The new album will be released by Cyclic Law on CD / 2LP / Download on the 31st of January 2018. Pre-sales will be available from early January directly from raison d'être Bandcamp store and Cyclic Law Bandcamp store and website. Artwork by Nihil. 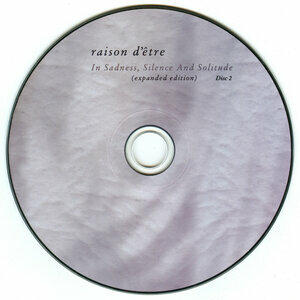 Music and video by raison d'être. The digital album is full resolution 24-bit, 96 kHz stereo master (if downloaded as Flac / Wav / Aiff). 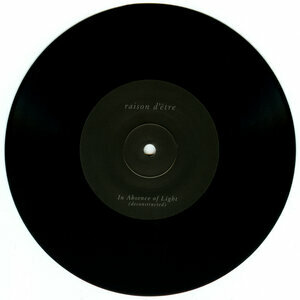 It’s with great honour that we present the latest album by Swedish dark ambient stalwart raison d’être. This time Peter Andersson scrutinizes the paths of Carl Gustav Jung's notions of archetypes and the individuation process. Just like Mise en Abyme, the previous raison d'être album from 2014, Alchymeia is diving deep down to the shadows of the unconsciousness, and back to a dawn of the true Self. Confronting the shadow within is the darkest time of despair. There seems no way forward, only down. All is blackening and decomposed. Suddenly, through an enantiodromia, the ever deepening descent into the unconscious transmogrifies and becomes gradually illuminated. The melancholia is being purified. 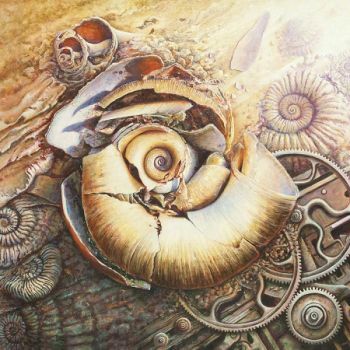 Alchymeia is in a sense the “raison d'être” of raison d'être, a shadowy journey through our unconscious the individuation process and archetypes. 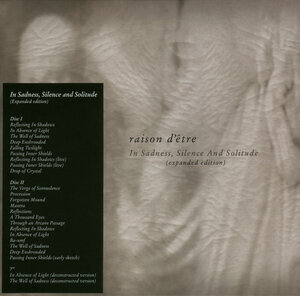 This release also marks the first time a raison d'être album will be available on the vinyl format. Artwork by Nihil. I got mine yesterday, it sounds amazing, i don't have the material to do a Tape-rip thouigh, can someone do that at one point please ? Timewaves presents moments of history in a flow of eternity. Each moment may or may not be clearly connected with each other. But when examining the past, does not every moment intertwine with some other moments, and suddenly everything is connected with everything in strange and unclear ways. In Timewaves it is clear that those moments presented on the album are bound to civilisation. Is it our civilisation, or someone elses, or just a dream? We don't know. It may be even a nightmare. All we know for sure is that the clock is ticking. But ticking for what? Good times or bad times? Hope or fear? Peter Andersson (Sweden) is most known for the dark ambient project raison d'être and a bunch of other projects like Stravtm Terror, Atomine Elektrine and Bocksholm (a collaboration project with Deutsch Nepal). Sometimes he releases albums under his personal name, mostly music for museum exhibitions and short movies. The majority of the tracks on Timewaves has been used in various exhibitions in some Swedish museums. This time the music is a bit darker, more industrial and experimental than previous exhibition albums from Peter Andersson, but still enigmatic. Track 01-04 were composed for various museum exhibitions in Sweden. 01: The Army Museum (2013), 02: The Swedish Air Force Museum (2014), 03: The Swedish Air Force Museum (2015), 04: Museum of Music and Theatre (2013). Track 05 was composed to celebrate the Work With Sounds database (2015). Track 06 were composed as a source sound for a performance by the $-kollektivet at Fylkingen, Stockholm (2005). CD is limited to 300x.